Is Lionel Richie Gay ? Lionel Richie is a writer and creator of numerous musical hits from his days with the Commodores to his time as a solo artist. He is an award-winning songwriter who continues to impact the music world to this day by inspiring and mentoring many upcoming artists. 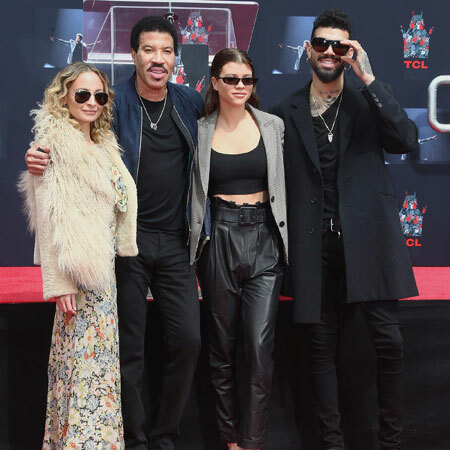 Lionel Brockman Richie Jr. is a living legend, who could succeed even after the music tastes of people changed. 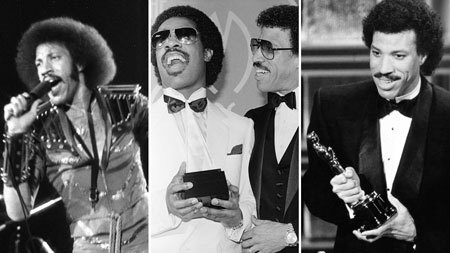 Lionel Brockman Richie Jr. was born on June 20, 1949, Tuskegee, Alabama to Lionel Brockman Richie Sr. and Alberta R. Foster. Lionel Richie graduated from Joliet Township High School, East Campus. As a star tennis player in Joliet, he accepted a tennis scholarship to attend Tuskegee Institute. But he dropped out after his sophomore year. Richie considered studying divinity to become a priest in the Episcopal Church, but ultimately decided he was not "priest material", he then decided to continue his musical career. Richie’s career with the Commodores was the experience he needed to identify himself. In 1968, he became the lead singer and saxophonist to the Commodores. They first played funky dance music but later moved to romantic and easy-listening ballads. Riche also started writing songs for other artists by the late 1970s. In 1981, he sang Endless love with Diana Ross which topped music charts worldwide. The success led Richie to pursue a solo career. In 1982, Richie released his debut solo album ‘Lionel Richie’. This album sold over 4 million copies. In 1983, he followed up with the album ‘Can’t Slow Down’, which sold over twice as many copies and won two Grammy Awards. Richie performed All Night Long at the closing ceremony of the 23rd Olympic Games in Los Angeles. In 1986, he released ‘Dancing on the ceiling’ which produced a run of five US and UK hits. After he made his return to recording and performing, he was seen less on the live stage. However, he made a comeback in 1996, but the response was not as high as he'd hoped. Richie released his 8th studio album titled 'Coming Home' on September 12, 2006. The album was a big success in the United States, peaking at No. 6. On March 26, 2012, Richie released his 10th studio album, Tuskegee. It consists of 13 of his hit songs performed as duets with country stars including Sugarland's Jennifer Nettles, Jason Aldean, Tim McGraw, Blake Shelton, Darius Rucker, Rascal Flatts, Kenny Chesney, Shania Twain, Kenny Rogers, Billy Currington, Willie Nelson, and Jimmy Buffett. The album returned him to the top of the Billboard 200 chart, his first number one album after more than 25 years. The album achieved Platinum status within six weeks of release. According to Celebrity Net Worth, Lionel Richie’s net worth is estimated to be about $200 million. Lionel Richie’s net worth is mostly a reflection of his longtime success in the music industry. He has sold more than 90 million records worldwide and also boasts 13 top ten hit singles from 1981 to 1986. Richie has also enjoyed immense success as a member of the Commodores, helping the band produce major hits like Brickhouse, Easy and Three Times a Lady. He has earned money from media appearances over the years, most notably as a judge for American Idol. Lionel Richie married Brenda Harvey, his college sweetheart on October 18, 1975. After a few years of not having children of their own, the couple decided to informally adopt Nicole Camille Escovedo in 1983. She is the daughter of one of the members of Lionel's band. They raised her as their daughter, named her Nicole Richie, and adopted her legally when she was nine years old. While Richie was still married to Harvey, he began a relationship with Diane Alexander. This led to an ugly incident in which she was arrested for assaulting him. They divorced on August 9, 1993, after nearly 18 years of marriage. Richie remarried two years later, to Diane Alexander on December 21, 1995. On May 27, 1994, his son, Miles Brockman, was born, and on August 24, 1998, his daughter, Sofia Richie, was born. But, this union with his second wife also ended up in a divorce in 2003. Lionel and Brenda were college sweethearts. They decided to tie the knot and even adopted a baby girl. But as things didn't go as planned, they split their ways. Diane and Richie started their relation while Richie was still married to Brenda. After the divorce with his first wife, he waited 2 years and married Diane. They have had a son and daughter together. Richir and Brenda are the adoptive parents of Nicole. First, the couple informally adopted her in 1983. when she became nine years old, they legally adopted her. Lionel and Diane tied the knot on December 21, 1995. They had their first child on May 27, 1994, named Miles Brockman. He is currently a model. Richie and Diane had their second child on August 24, 1998. Sofia is a model as of now and her father is very protective of her.